Traffic Think Tank - The Best Marketing Community Ever? You are here: Home / Reviews / Traffic Think Tank – The Best Marketing Community Ever? Traffic Think Tank – The Best Marketing Community Ever? I’ve been a member of Traffic Think Tank since it’s launch in November of last year. I’m not one to be super active, but the access I’ve had to the 3 owners, training materials that I have given to my agency staff and the ideas spawned from conversations across tons of different topics have been a phenomenal part of my growth in 2018. I have paid on my own backside for access to the community for months now, and it’s been a well worth investment. 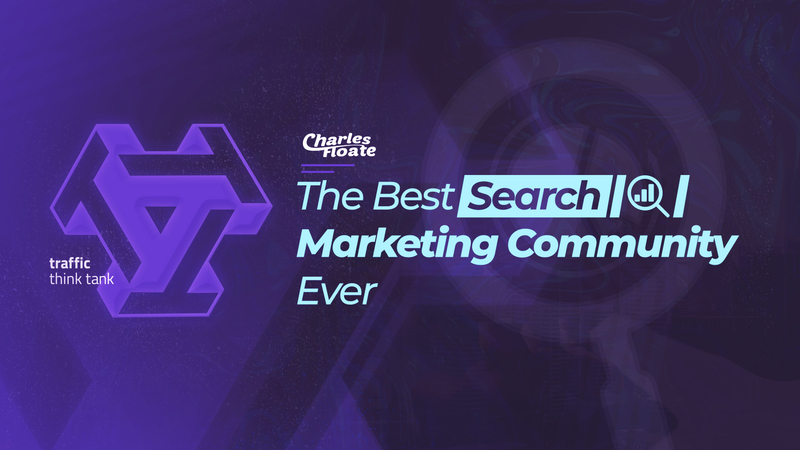 In this review, I’ll be going through what may well be one of the best internet marketing / SEO communities ever put together. 2 Who Is Behind TTT? If you’ve been following my blog recently, and you checked out my SEOs to Follow in 2018 then you will of likely seen the section where I talk about the 3 SEOs behind Traffic Think Tank. 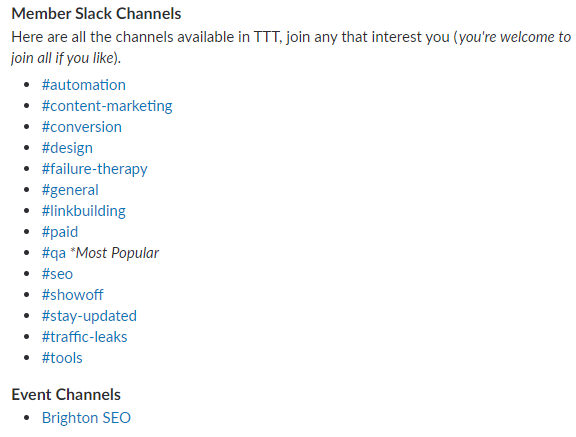 Essentially, TTT is a Slack based resource center and community that helps SEOs across a range of subjects to improve their business and ranking goals. You get access to not only the main 3 guys behind the service in all of these channels, to ask questions and find answers to your hearts content.. but you also get access to a range of folks that the TTT gang have let in for free, in return for helping out the community and providing some amazing content. They also have a monthly Q&A session where all members of the community get a chance to ask any 1 of the 3 owners of the service specific questions to get detailed, verbal feedback on. Not to mention that they’ll help you via PM most of the time too – Nick recently gave me some fantastic advice on the transition of taking full control of my agency and how I could go about processing and growing on my own. Which coming from someone who has run 2 agencies and recently acquired 2 entire agencies into his own, is an amazing real world view on. Not bad for $119/Month, either. There are 3 co-founders behind the agency, who all have very different jobs within the industry. 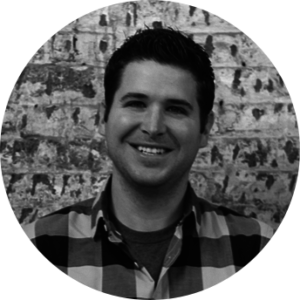 Matt is Head of Growth at HubSpot and has a big background in technical SEO analysis and large scale content optimization campaigns. He’s worked in agencies, PR firms and on his own, freelance projects before finally ending up at one of the biggest companies in the marketing industry. To put Matt’s work into perspective, Ahrefs has noted an over 1 million organic visitor increase (per month) in the time that Matt has been in charge of growing HubSpot’s traffic and business. His guide on exactly how he did this, using technical SEO to increase organic traffic to the site by over 50% is one of the most interesting case studies in the industry, especially for those working with bigger sites/brands. His expertise when it comes to large scale campaigns, data analysis and technical aspects of SEO is one of the best in the industry. His training on log file analysis, content directories and international SEO inside of TTT have been very helpful for inhouse training at my agency. 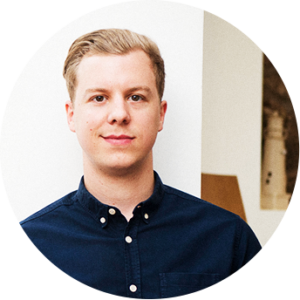 Nick has been one of the most dominating forces in the agency/client space of SEO for several years now. His agency (From The Future) caters to over 80 high level clients and has acquired 2 agencies in 2018 alone, including Webris, that was founded by Ryan Stewart. When it comes to business fortitude and SEO campaign strategy, there is not many people in the industry that rival that of Nick. There’s a reason he’s been able to simply buy other agencies up, and his willingness to help others is humbling. If you’re an agency owner or someone looking to create a real, long term business out of this industry.. And want to end up with 2 blacked out $100,000 cars and a stone house straight out of Bond villains lairs.. Then Nick is the guy you want to be following, and having on your side right now. Ian is the black sheep of the trio, and for very good reason. 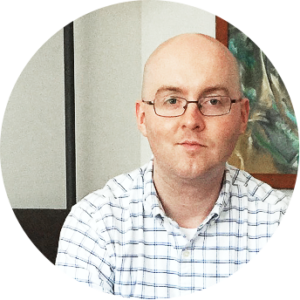 He’s an SEO realist and has been using the black hat tactics you’ve been using this year since 1999. He’s got experience in most of the biggest niches you will of ever heard of, everything from poker to pills and has exploited every loophole the industry as found. He’s not scared to share his thoughts on real world rankings and has routinely talked about PBNs, expired domains, identifying/combating spam and the affiliate side of SEO. Having Ian involves adds the additional wildcard that makes this team much stronger than with just Matt & Nick, who are mostly focused on more large scale / white hat campaigns. The difference between TTT and most other training resource providers tend to be that of length and of quality. You don’t have all the fluff that a lot of these marketing courses spew about mindset & theory. Nor do you have massively long videos or short for that matter. 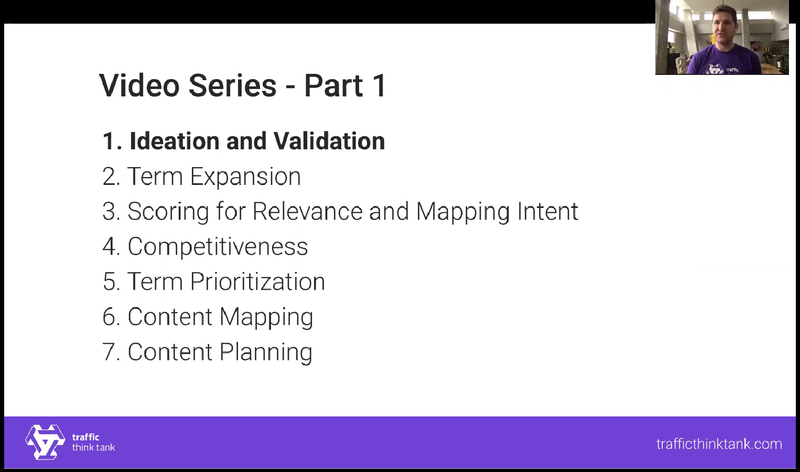 This 25 minute video explores the more modern approach that Nick uses for keyword research, and explores the differences between keyword intent, competition and creating a killer keyword backed campaign. In the first video Nick uses the Ahrefs keyword explorer tool, and talks about the differences in search volumes various tools have. 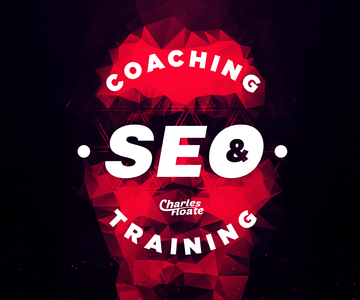 He goes on to explain how he bases his identifying of initial keywords on and how he validates the ROI of an SEO campaign to target them. You’ll see it takes you right from the identification process all the way through to planning around your findings. 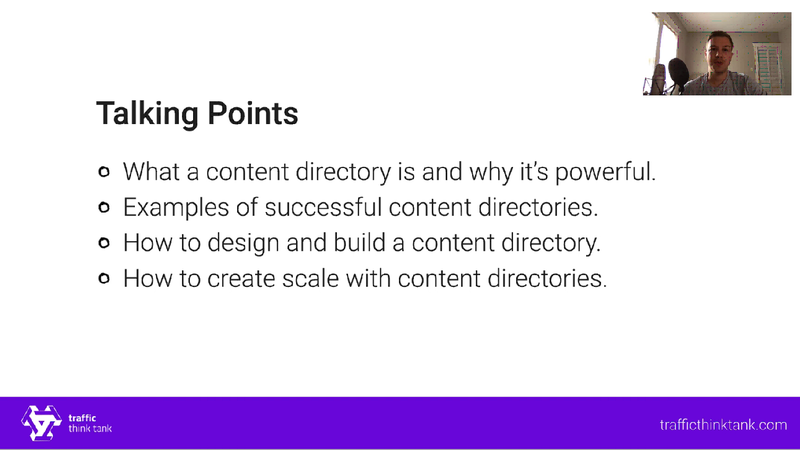 Matt runs from the basics of exactly what a content directory is into the entire premise of creating and executing them for topical & authoritative success. The video is nearly an hour long and shows you example URL setups, real world examples of the strategy in use and exactly how to set them up yourselves. 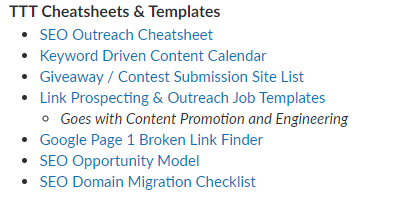 Instead, he covers the processes that affiliate SEOs seem to forget. The amount of times people have said they’ll do proper keyword research once the site is indexed/ranking, or they’ll begin building out the site once it makes it’s first sale etc.. NO. You should build the highest quality of site from day one that you possibly can, because this will give it the footing you want to build a true authority from day one. 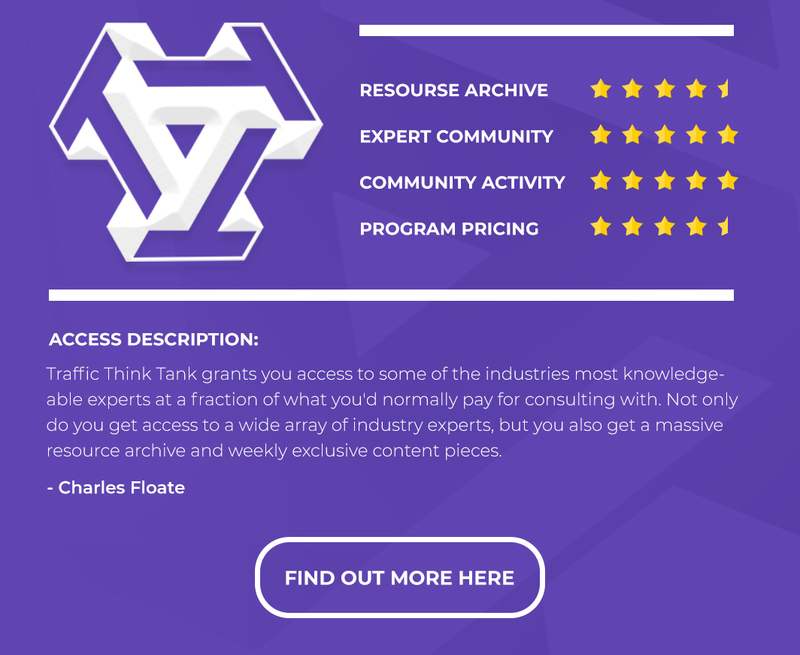 I’ve showcased just a fraction of the exclusive video content they have, and with them adding to it literally every week, the resource library is continually growing with increasingly better & more diverse content. Just from the videos I have highlighted above, you have nearly 4 hours worth of content with extreme levels of detail and live examples. The one thing that surprises me the most, is the level of activity in the 14 different channels is pretty astounding. It reminds me a lot of the old forum days, where people would sit in Skype groups all day sharing knowledge and working together on JVs & case studies. 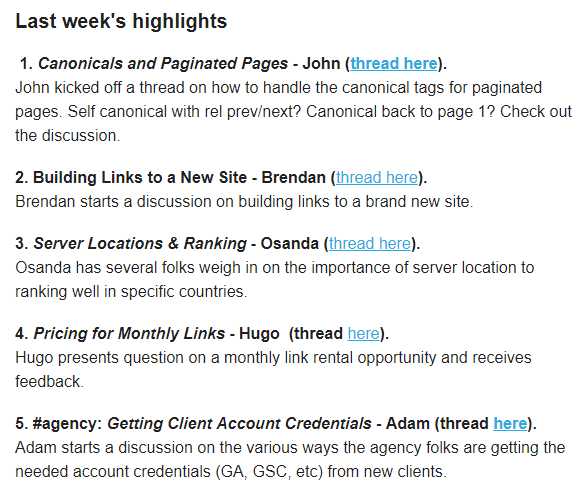 The regular levels of content from the main 3 members, the weekly community digest email and monthly Q&As all help to create massive amounts of user activity on the Slack channels. If you make the decision to join, I highly recommend using the search feature in Slack to go through all the channels relevant to you, just to find previous discussions that could be very beneficial. A pretty wide variety of topics, all of which have tens of highly detailed replies. This is just the top 5 discussions of that WEEK. So you can imagine how the discussions to come out of this community on a monthly basis. The community is on the higher end of subscription costs for private information communities – Not to the crazy levels of OMG Machines, but for no tool access it’s still a fairly expensive subscription. You’ll get a monthly subscription for $119/Mo, up from the original $99/Mo when I first joined, or a yearly sub of $1,190, saving yourself $238. That may seem like a lot, but when you have direct access to experts that normally charge hundreds or thousands of dollars for their time.. It’s but a small price to pay. Not only that, but you don’t just get access to one opinion or one strategy, you get a whole community of high level marketers that they’ve built over time. No matter what the time, you’ll find someone online to help with your problem in the 300 or so community members they’ve already built up. In conclusion, if you’re looking for a place to call home when it comes to having expert advice on growing out your business.. It’s likely you’ve just found it. 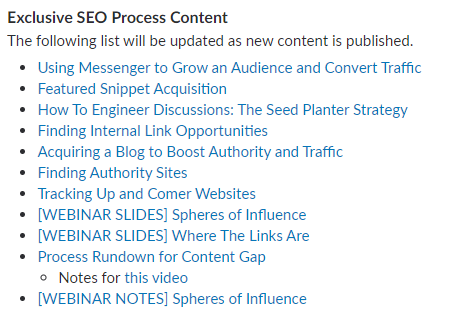 With a ton of support from fellow industry experts, actionable SEO content, processes and strategies.. Traffic Think Tank makes for one of the best, if not the best, SEO/Marketing community ever put together. If you’d like to learn more about Traffic Think Tank, you can check out their website here. I hope you enjoyed this detailed review of TTT. 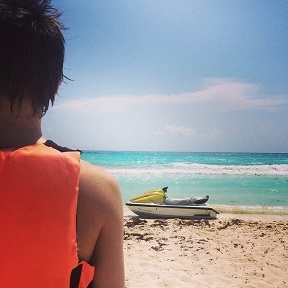 I’ll see you in the next post! I’ve never been part of a paid Slack group before TTT. I’ve been part of many other, free Slack groups. Many. Good ones too! However, I’ve not seen meaningful engagement like I have in TTT. Not only from the members, but the guys who run it work their tails off to provide value, and be a part of the conversation. It will take me months to catch up on all the great material these guys have put together, exclusively for the group. And it’s not fluff neither. This is real, actionable studies, guides, etc that I’ve personally put to the test. It’s one of the best Slack groups out there, and it just keeps raising the bar. Bravo Nick, Matt and Ian and all the members. Thanks for the review Charles, the most humbling part is the level of great minds that contribute. I cannot express enough how pleased I am with the Traffic Think Tank Community. TTT has supplied my agency with considerable benefits not found in any other environment. The ease that we found working within this community, and the amount that we have gained from it almost does not seem comparable to any other SEO community. Communication with the owners is relaxed, informative, and constructive. Since my agency has become active within the community, we have found that we have grown significantly stronger not only for our customers but for our agency as well. Nice write up Charles, this is genius. Great review! Good to konow about it!